First, head here for all the latest sequestration news as it pertains to sailors and their families, and head here for a roundup of some programs, bases and units throughout the military already feeling the pain of the cuts that could go into effect — on paper, at least — as early as midnight tonight. 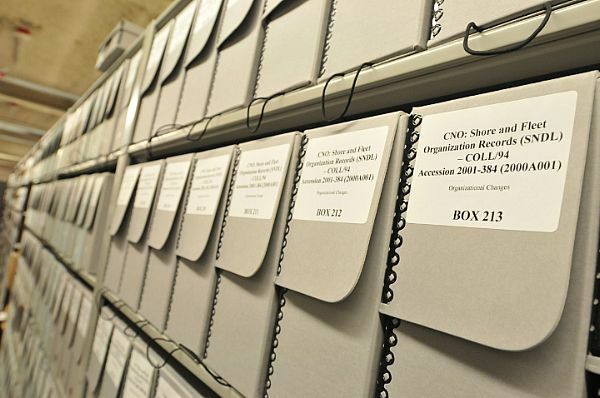 If you’d like a historical perspective on the cuts as they pertain to the Navy, get it fast — Naval History and Heritage Command plans to close its archives, even to research requests, if the sequestration goes forward, the Navy announced Wednesday. The move will allow the command to focus its available funds on “ongoing preservation and conservation efforts,” according to the release; facility renovation has been going on since last year, and a mold-decontamination effort for some of the storage spaces is to begin in the spring. The command has touted its progress in such preservation efforts since an inspector general’s report released in late 2011 showed significant shortfalls, going as far as saying “the history and heritage of the United States Navy is in jeopardy.” But to continue such progress with a tighter budget, the head of the command — who took over months after the IG report’s release — said the move to close the archives to visitors and researchers was a necessary one. So, at present, future investments will prevent researching the past. And everybody says this budget stuff doesn’t make sense.